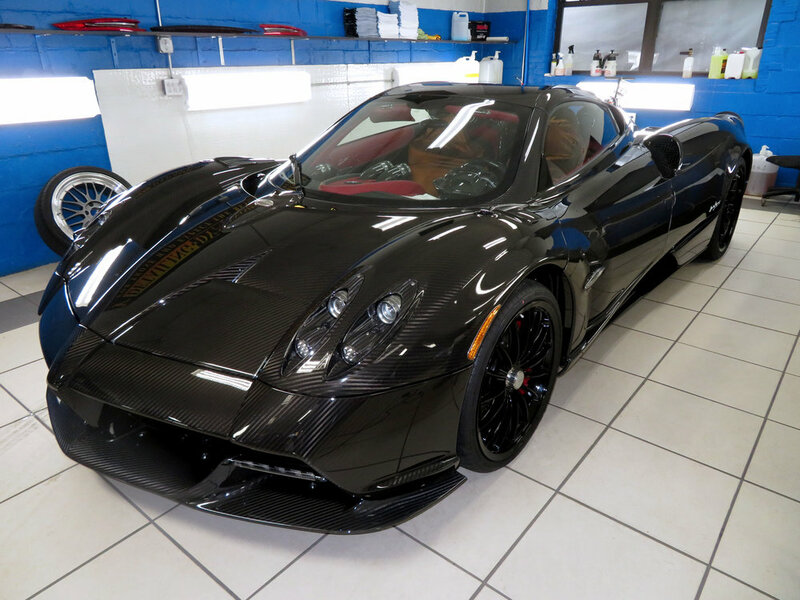 We fully wrapped this Pagani Huayra Roadster using XPEL Ultimate paint protection film. 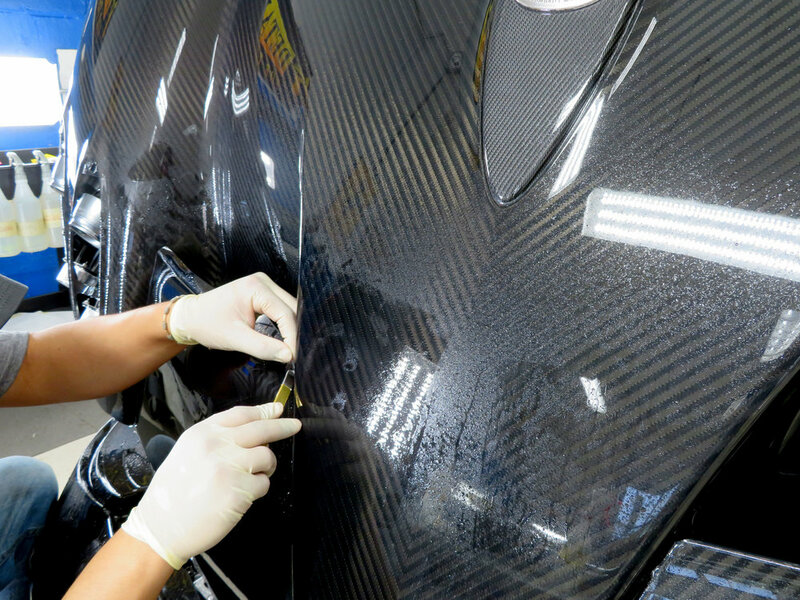 This OEM-approved clear, self healing film allows the brilliance of this Roadster's carbon fiber to show through, while protecting it from damage caused by stone chips, bugs, abrasion and weathering. 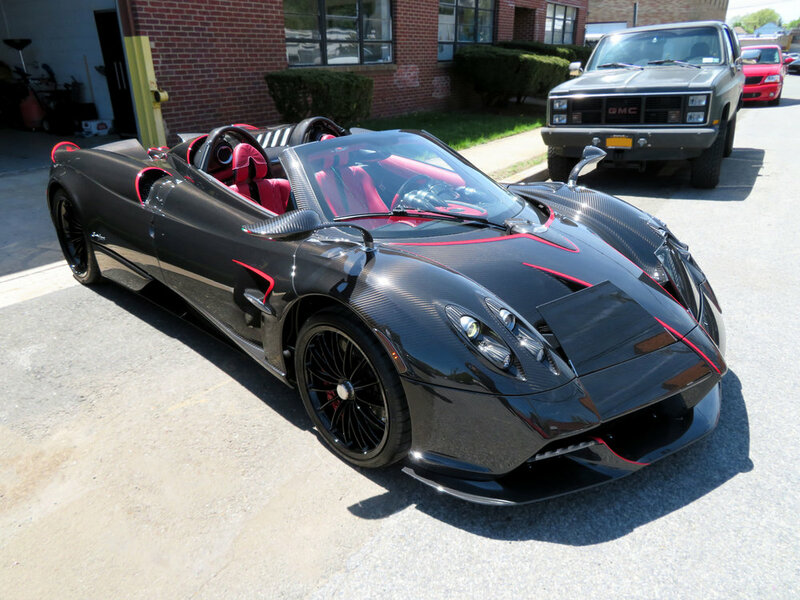 Custom red vinyl accents were added to accent the gorgeous interior. An AL Priority radar and laser system, including two front laser jammers, two rear laser jammers, and a front radar DSP NET radar system were also installed.